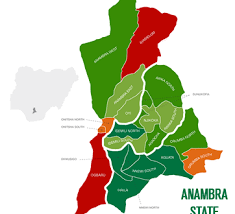 Anambra State Legislators, have condemned and directed Mr. Uchenna Eledimo to stop parading himself as the Chairman of Ekwusigo Local Government Area (LGA), in Anambra state. The condemnation Motion was moved and led by the Minority Leader of the House and member representing Ekwusigo Constituency, Hon. Apostle Onyebuchi Ofor. According to the Leader, he brought the matter to the House to urge members to use their powers, as Legislators to stop the condemnable act. In a brief account to the house, Hon. Apostle Onyebuchi Ofor stated that, “Last week when the Anambra state Governor, Chief Willie Obiano, paid a courtesy visit to my Constituency, surprisingly someone introduced himself as the Chairman of Ekwusigo LGA. Engineer Ikenna Ofordeme the legitimate Chairman, resigned his position some time ago and it’s amazing why someone else will take up that position without an appointment and without appearing for confirmation in this chamber”. “I am urging us to use its powers, as Lawmakers, to direct Mr. Uchenna to stop parading himself as the chairman”. Hon. Kingsley Iruba and Hon. Lawrence Ezeude in their separate submissions also condemned the act stating that it is an abuse of power. “Be it therefore resolved that this Honorable House hereby direct Mr. Ikenna Ofordeme to immediately hand over to the head of LG administration of Ekwusigo, LGA who shall act as the Chairman pending the appointment and confirmation of the new chairman by the House of Assembly. Mr Uchenna is here by restrained to stop parading himself as Chairman of Ekwusigo LGA”.